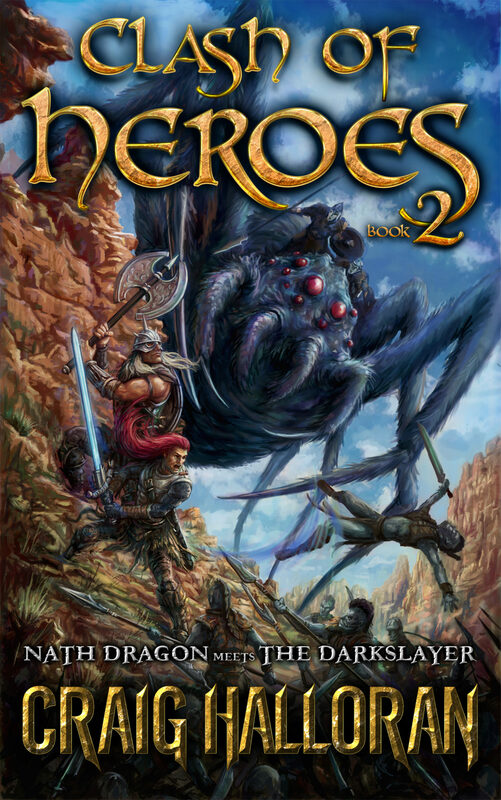 This is the Ultimate Crossover Adventure where the worlds of The Darkslayer and Nath Dragon collide! Oran the underling Cleric has sought the assistance of Collo the Gnoll and his manhunters to hunt down Nath Dragon and The Darkslayer down. But the underling Lords Catten and Verbard don’t think that will be enough. The imbue Oran with some of the nastiest underlings hunters of all. Nath Dragon finds himself desperate to return back to his home in Nalzambor. 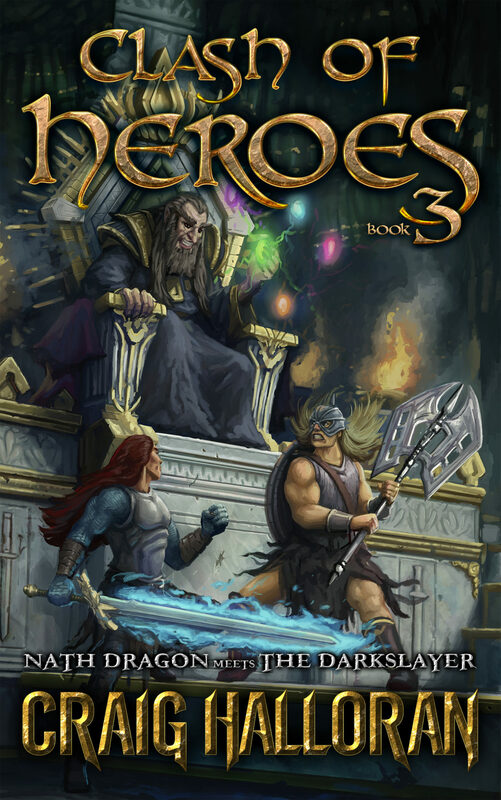 In order to return, he and his new allies, Venir the Darkslayer, and Melegal the thief, must track down a group of powerful wizards in the deadly City of Bone. But, the underling Oran, is still hunting Nath dragon. The wicked underling cleric contacts a powerful Royal, a sorcerous, to track down Nath and trap him in the world of Bish forever. Meanwhile, Melegal, trying to aid Nath, comes in contact with his former mentor, McKnight, who is working for the Royal’s in pursuit of Nath. The deck continues to stack up against the heroes, where there can only be one way out to cross from one world back to the other. Fight or Die, and don’t forget, Corzan the Necromancer will be waiting. Also, include in this story is the final origin of Chongo! Nath has no recollection of his past. 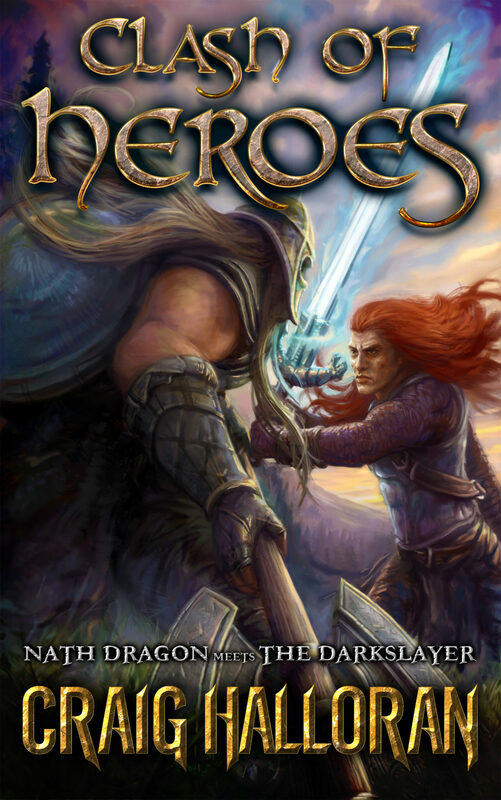 Trapped in a dark, deadly, and devastated world, Nath is bound in servitude to the evil underlings who use their arcane powers to force Nath to kill their vile enemy, the Darkslayer. As he sets out, Nath walks a dangerous road, uncertain of who his true enemies–or allies–are. Nath is in for the fight of his life. 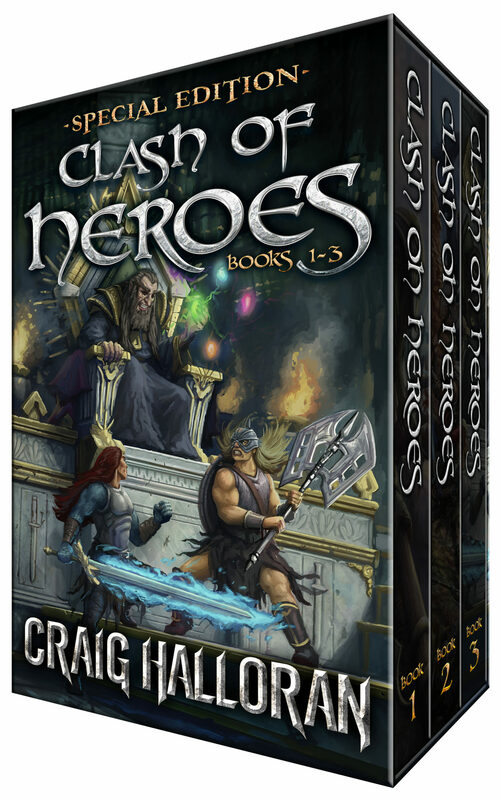 In this clash of the titans, will Nath uncover the truth of the powerful Thunder Stones in time or be stranded in a perilous world forever?